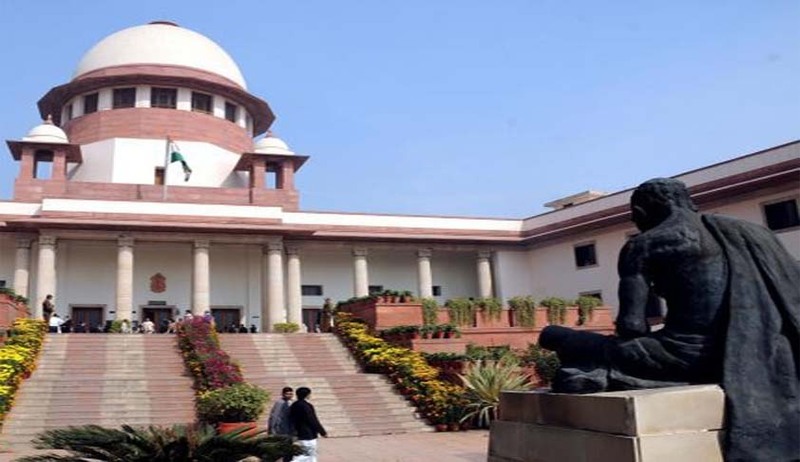 Supreme Court, by invoking powers under Article 142 of the Constitution has asked the Government to pay an exgratia amount of rupees ten lakhs to a widow of Territorial Army personnel. The Armed Forces Tribunal had dismissed the application filed by the widow seeking family pension for the death of her husband who rendered a total service of about twelve years in Army, holding that he did not have the requisite minimum qualifying embodied service of fifteen years to earn service pension, and hence upon his death while he was in disembodied state, the widow was not entitled to family pension. Aggrieved by this, the widow approached the Apex Court. It was contended before the Apex Court that while the wife of a regular army soldier, who dies in harness is entitled to family pension even if the deceased soldier had not put in the minimum qualifying service to earn service pension, the same is denied to wife of a deceased Territorial Army soldier on a specious plea that the deceased soldier was in disembodied state when the death took place. This discrimation, according to the appellant, is violation of Article 14 of the Constitution of India. Division Bench comprising of the Chief Justice T.S. Thakur and R. Banumathi agreed with the reasoning of the tribunal that a regular army person and a person enrolled in the Territorial Army are governed by different set of terms and conditions of service and are not similarly situated and therefore they do not form part of the same class in the matter of grant of service benefits and hence, there cannot be a violation of Article 14 of the Constitution of India.